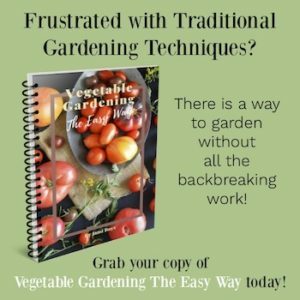 Planting for fall gardens- what to grow from carrots to cabbage to lettuce, with tips to help you harvest a second crop of spring or overwintered vegetables. Take time to plan in summer and reap the benefits all fall and winter. 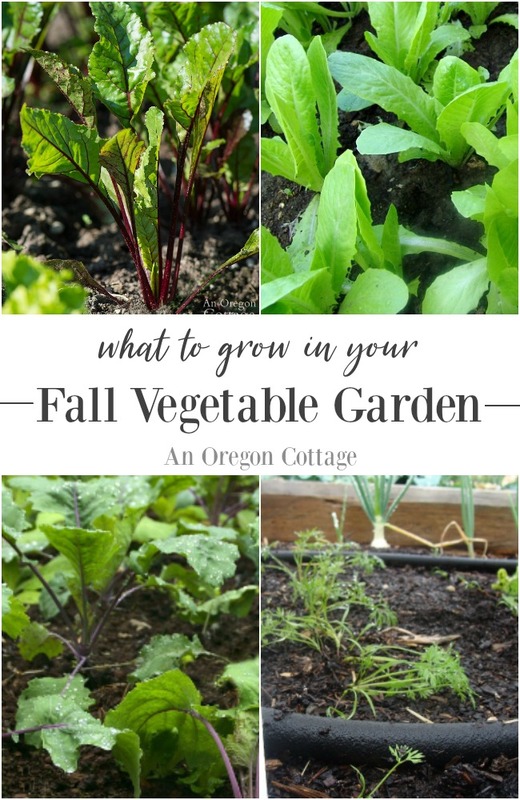 Have you ever grown any vegetables specifically for the fall and winter? 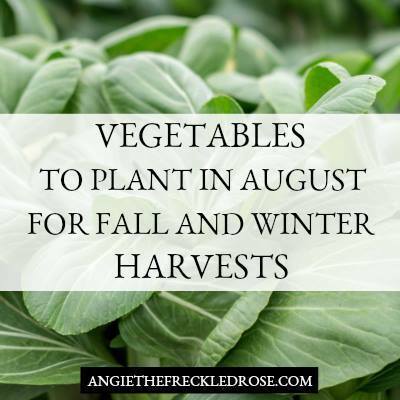 Planting for fall is basically sowing a second crop of spring vegetables to harvest in the fall and winter, though there are also specific varieties bred for fall and winter gardening. 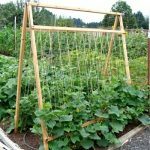 Even if you live in areas that get colder than zone 8 there are still vegetables that you can grow, although you’ll need to use cloches and other types of covering. Eliot Colman has a number of books like this one that show how he grows his own vegetables all year around- in Maine of all places. 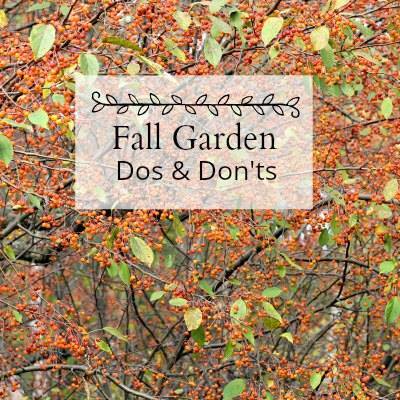 Can you really have a fall garden? 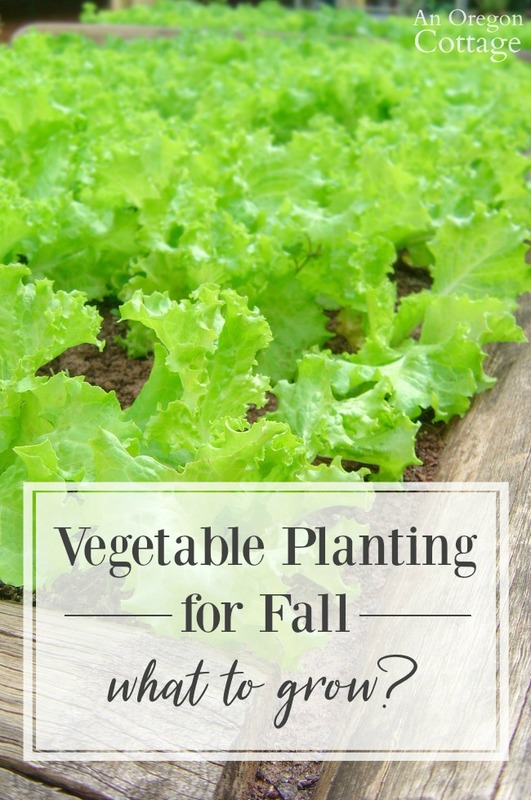 I plant vegetables every year for a fall garden (when I have a garden! ), but I have to admit that I view it as a bit of a gamble. Sometimes I get a good harvest and sometimes I don’t. The spinach bolts, the overwintered cauliflower never produces, or the slugs eat the lettuce before I can. Success depends on when I get the plants and seeds in the ground, what the weather’s doing, and, frankly, if I get myself out to the garden when it’s hot or I’m feeling “gardened out” for the season. I know you may be shocked that I would ever be “gardened out” but it happens to the best of us. 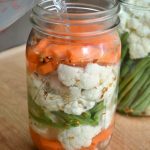 In the article I wrote about how to plan and plant a fall vegetable garden, I outlined the steps you can take in July, August, and September to grow a fall and winter garden with your own seeds as well as techniques you can use to get seeds to start even when it’s hot and dry outside. But if you miss the seed-starting window, all hope is not lost – you can usually find transplants for fall and winter at garden centers. I typically do some of both, starting seeds inside or out and filling in with store transplants. Carrots aren’t a vegetable that transplants well, so if you’re wanting some frost-sweetened carrots, you need to plant from seed usually in July and August, depending on the variety and your last frost date. If you miss the window by a week or so, it’s still okay, the carrots will just be smaller. 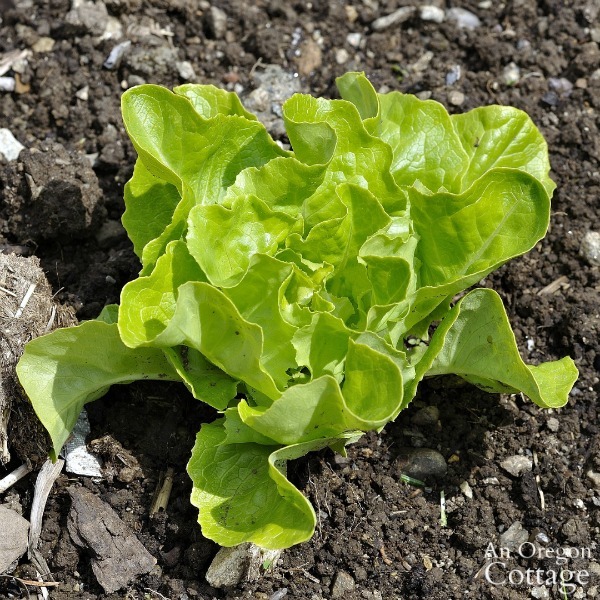 You can start seeds for lettuce inside, which is about the only way I can get them to germinate in the hot summer for a fall or winter harvest. Nursery transplants are a good way to get a fall harvest if you don’t have the space or time to start your own (or you forget, a-hem). 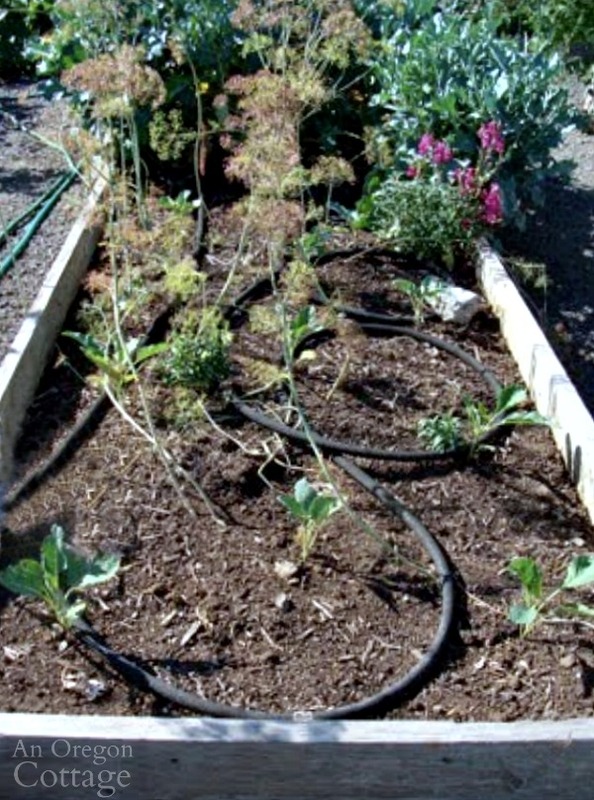 Sometimes when you plant transplants in the heat, their outer leaves may shrivel or brown in the heat, but the centers should start putting out new growth within a week of planting when enough water is provided (TIP: soaker hoses or drip systems provide the easiest, most uniform watering). 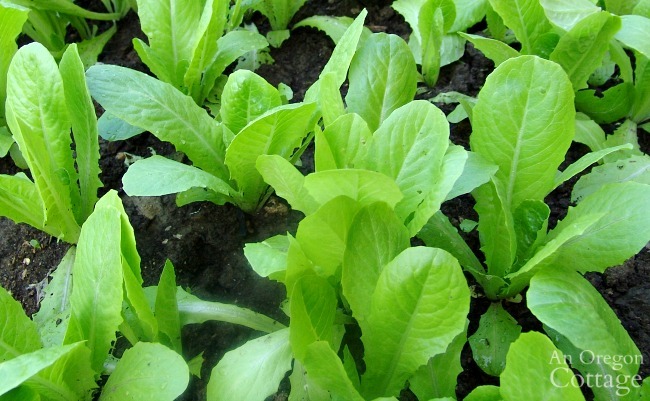 Winter Density Romaine is another good lettuce variety to plant – it’s a hardy lettuce for with a compact growth habit ready in 54 days. Summer-planted kale always does well for me, producing until it starts getting too cold around the end of December. 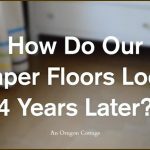 It usually starts producing again in the early spring, too. 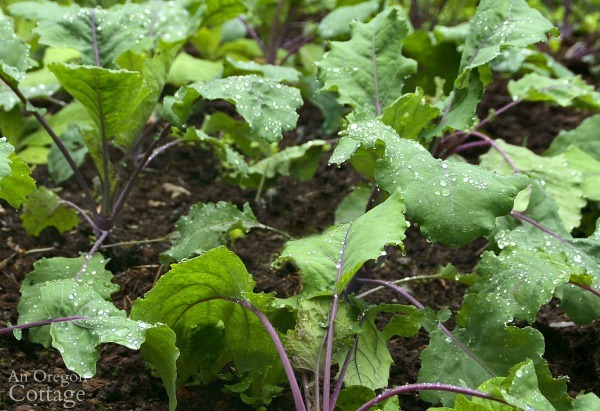 This is an essential fall-winter vegetable in any garden. Even though spring-planted broccoli should still be providing lots of side shoots (like the plants that are pictured at the back of the bed above), it’s a good idea to plant fall varieties of broccoli, like sprouting broccoli, that will continue to produce well into the winter months. Fall and overwintering cauliflower, and cabbages (pictured in the foreground above) are all good to plant in the summer for continuous harvests. 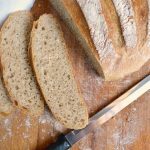 It’s so wonderful to have those early heads to harvest in February and March. 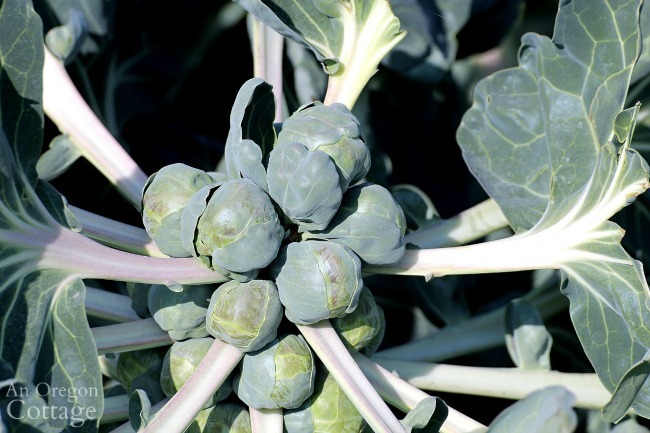 Depending on the variety, you can plant Brussels sprouts in the summer and while they won’t produce until later fall, they get sweeter after a frost. 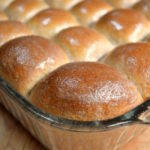 Which is usually perfect for roasted sprouts at Thanksgiving! Aphids seem to like these as the weather turns, so you may have better luck keeping them to a minimum with a floating row cover. Direct sow rows of spinach, parsnips, beets, and turnips, keeping the ground as moist as possible, shading the rows with an old fence board or garden shade cloth. Moisture and shade usually enables the seeds to sprout, though it may take longer than in the spring. Or it may not. 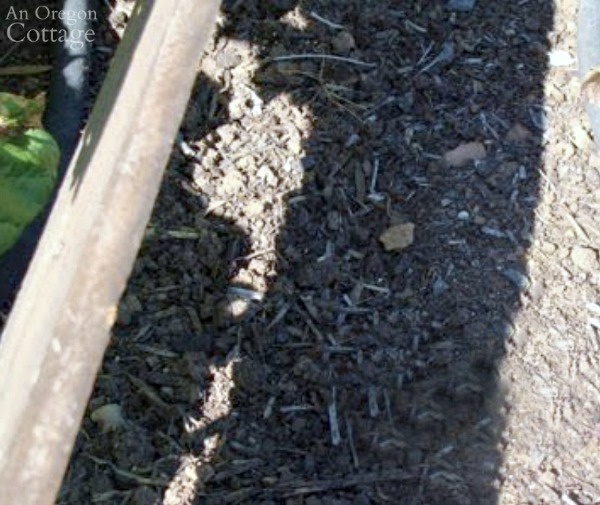 If you’re having problems seeing any spinach seedlings in the photo above, that’s because there’s aren’t any, even with a board to shade the row. Spinach is notoriously hard to get started in the heat of summer. However, a row of turnips I sowed at the same time as the spinach has come up like gangbusters (it figures- I just tolerate turnips, but adore spinach!). My advice is to keep trying – especially with spinach, since it’s so quick to maturity. I’ll replant if nothing comes up in a couple weeks and it will still be enough time to produce in the cool of the fall. What about planting for fall in containers? 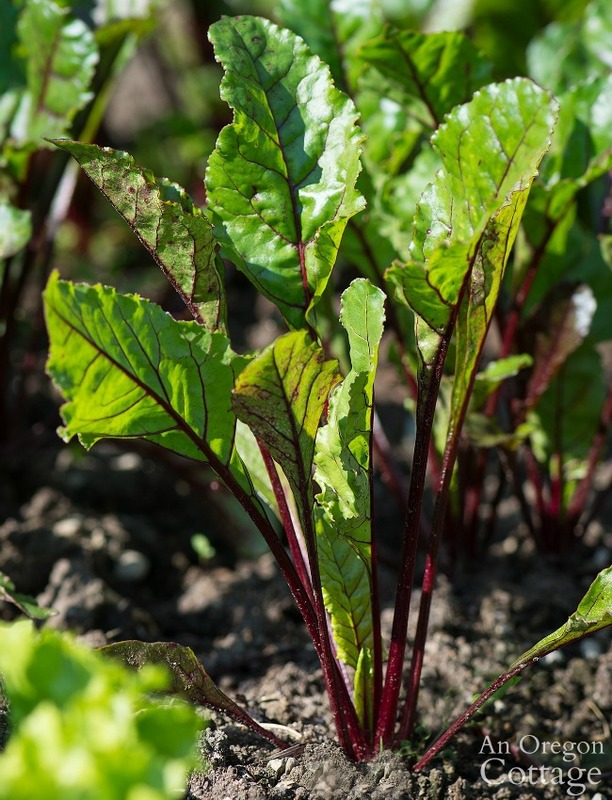 Of these tried-and-true fall vegetables, lettuce and spinach will do the best in pots. 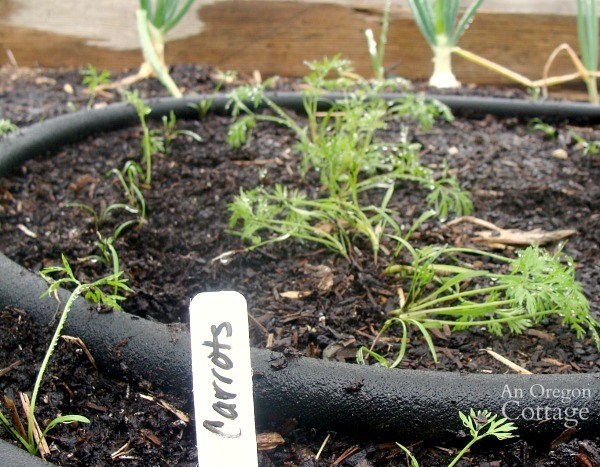 If your containers are deep enough, you can grow a few carrots and beets. If you provide support, you can plant a Brussels sprout in each container, maybe edged with lettuce. 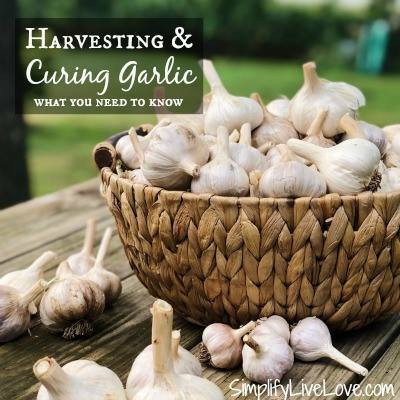 In fact, it may be better to have a few pots close to your house in the fall and winter – it will be much easier to harvest than trudging out to the garden in the rain, ice or snow! However you do it, I hope you are encouraged about planting for fall – let me know in the comments what you like to plant (or hope to)! I’m generally gardening out by fall. But this year, I am DOING IT! Planting lettuce, spinach, and kale for sure. I might add some carrots and peas to the mix too. 🙂 Fingers crossed it works out. Thanks for the tips, Jami! Good for you – I’m typically like that, too, Michelle. 🙂 But your plan sounds doable – a few things that will do well and will be SO nice to pick in the fall. I too can get gardened out by the time it’s time to plant a fall garden. This year I’m planning on planting garlic, lettuce, kale, and I might even try Brussel sprouts. I tried peas last year and got a handful of peas but it didn’t work out very well so I’m going to skip them this year. We are off and on Fall gardeners. It really depends on how busy Dave is. We enjoy those late Fall crops though, when they work out for us. 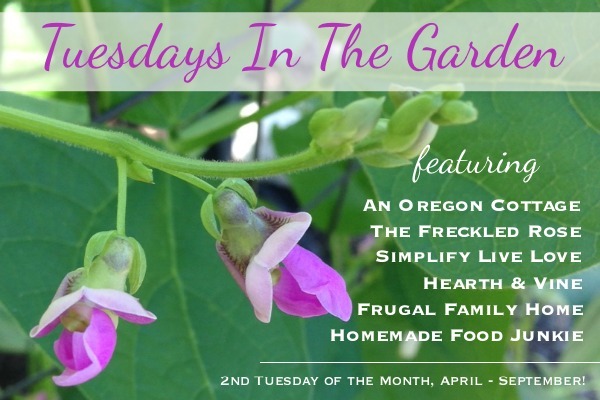 I REALLY miss the garden greens once they are gone for the year. 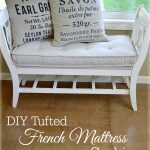 Great post Jami! 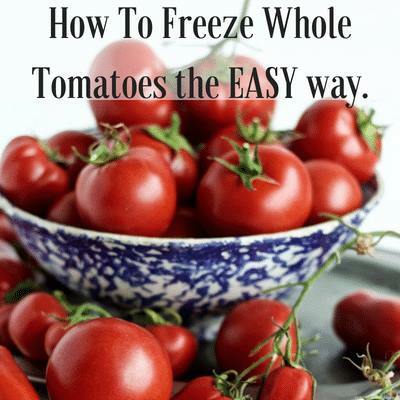 I enjoyed the video on tomato preservation too. I dry mine and freeze them. Then when we need a batch of seasoned tomatoes I rehydrate them like you do with some extra seasonings. 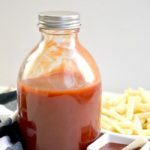 They make fantastic condiments. Love our garden! 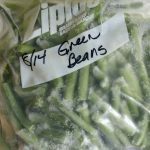 I know – it’s the greens that really make me want to do a fall garden, and actually try to figure out how to grow them through the winter! 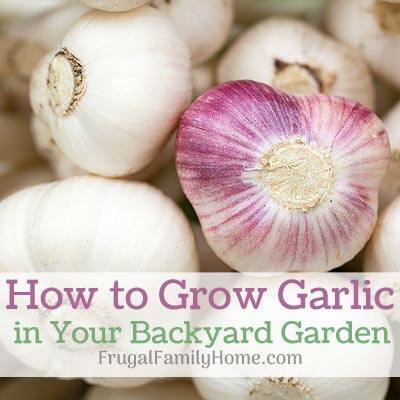 Have you ever tried growing them in your greenhouse? I don’t grow that many veggies but I have been successful at growing lettuce in containers. More of the cut and come again mesclun type. However, I completely forgot that fall works as well as spring for this veggie. Thanks for the timely reminder Jami.